After you order and start wearing your Kappa Delta Phi Bathrobes, Slippers and Towels, watch as your other chapter brothers follow suit. It's definitely an upgrade from the usual at home outfit of a ripped tee, boxers and flip flops! You don't have to visit a department store to find a great robe -- just get one from Greek Gear. 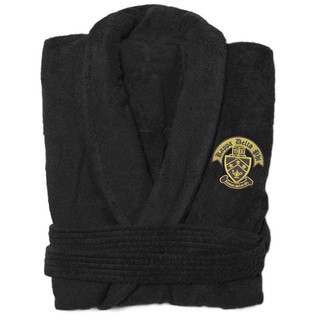 Our plush fraternity robe for KDP members comes with a crest patch, a belt and in some colors you even get a hoodie. 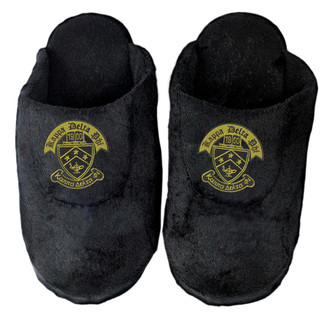 If you decide to get the robe in black, pick up a pair of matching Crest Slippers to keep your feet happy -- especially considering how many miles you probably have to traverse on campus every day. Get a Giant Beach Towel and you'll be covered every morning. It really is pretty giant at 30 x 60 inches, and with all that surface area you can see the large Greek letters from a far distance. If you're planning to attend a pool party in the near future, make sure you wash it the night before and bring it along. 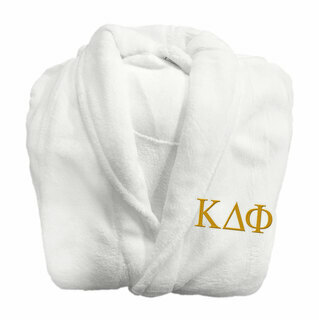 Your Kappa Delta Phi Bathrobes, Slippers and Towels will help make each moment that you spend chilling at your dorm so much more enjoyable. Greek Gear also sells blankets and afghans that you can use for bedding. 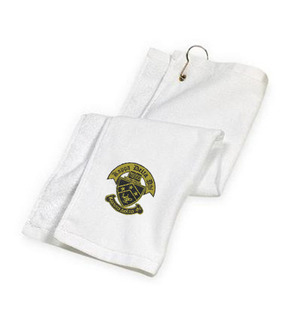 Kappa Delta Phi Robes, Towels & SlippersThe Greatest Selection. Period.